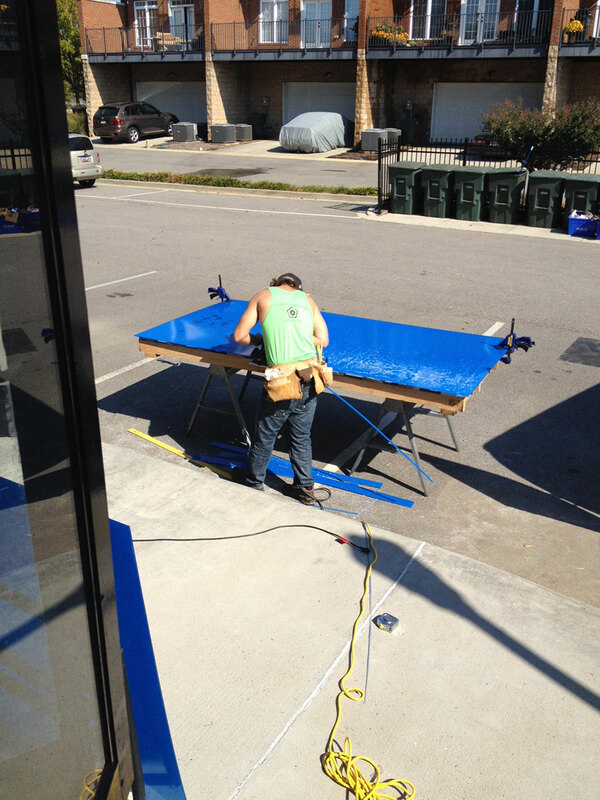 Some applications require on-site fabrication. These Acoustic Series units were ¾″ out-of-square and 51″ W × 97″ H.
Metal frame close-up. Our black steel angle was installed using an acoustic weatherstrip foam and then caulked with a clear silicone instead of black acoustical caulking to keep a clean look. Finished, virtually invisible look. 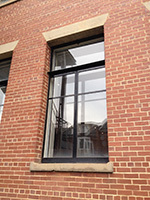 The Climate Seal dark brown magnetic frame was chosen to match the black steel casement windows. When looking head on, you were unable to notice anything in place. 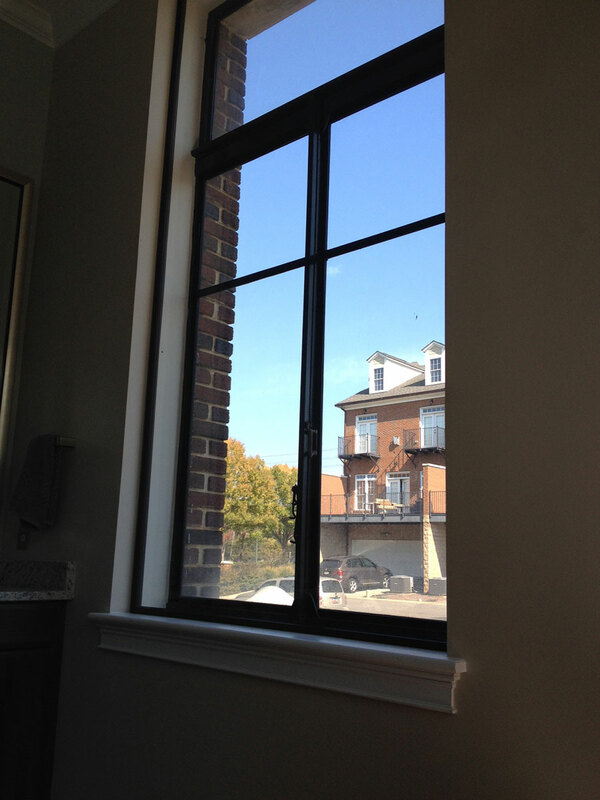 In fact, we chose this diagnol view to illustrate where the insert was located. 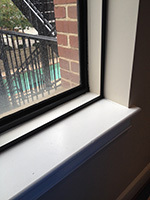 Exterior View (with Climate Seal installed on the interior) to illustrate how unnoticeable our system is and why we are the superior choice for the historic and HOA communities. 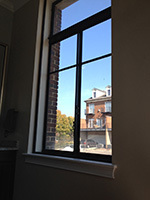 The client has estimated 75% sound reduction and a 10°F Thermal Increase.